With San Jose, CA, having over 6,600 technology companies which in effect makes it a top California city with the most concentrated technology expertise area in the world., it has many opportunities for continuing education in online marketing. As part of our directory of SEO (Search Engine Optimization), social media marketing, and marketing (generally) opportunities for adult learners, here are our selections for continuing education in marketing in the San Jose area. Please note that we can provide corporate training on these topics by custom quote (minimum of 5 participants). Free Directory. Use this free directory of San Jose, CA, continuing education programs in marketing to find possible SEO, Social Media Marketing, and/or AdWords training classes. Be advised that all programs and schedules are subject to change without notice; the JM Internet Group assumes no responsibility for listings in this free directory. Small business owners and marketers, entrepreneurs starting their own businesses, and even non-profits can (and should) avail themselves of free Internet marketing opportunities ranging from Google / Bing optimization to Facebook or Twitter marketing to simple tactics to use “real world” marketing to improve their performance. We at the JM Internet Group are all about learning and doing… If you know of a continuing education opportunity in the San Jose area, please contact us for free inclusion (non-profit organizations, only)! San José State University. Extended Studies is a more flexible way to go to college and advance your career. Courses are available on campus, off-campus, online and during academic gap periods. All courses are taught by SJSU faculty for college credit. UC Berkeley Extension. UC Berkeley Extension offers courses, certificates and programs in many areas. Courses are held at convenient Bay Area locations and online. San Francisco State University. Learn the fundamentals of social media and move on to more advanced topics with Social Media Marketing tools and applications. Winchester Mystery House. Actually, they don’t teach courses in Internet marketing or SEO / AdWords or even Social Media. But it’s a super fun day excursion from San Jose, and you can learn how creepy old rich women went crazy and kept building and building and building! Note: many of these institutions are located elsewhere in the Bay Area, (e.g., SFSU), but some have offices or satellite classes in San Jose or nearby. Check with each institution to find out if they offer local San Jose courses in SEO, AdWords, and/or Social Media if you want to avoid that nasty commute up to San Francisco or Oakland! Located in San Jose, California. If you are on the East Coast then taking classes in the West Coast and flying out to California may not be practical. With plane fares estimated at $1000 round-trip, plus workshop time of 8 hours and 1/2 hour of preparation time for each hour of instruction… assuming you have a group of at least 5 persons, an in-person, private workshop training in SEO / Social Media / and/or AdWords would run roughly $1500 plus expenses. So your options are to either use the continuing education resources listed above (be sure to check their course catalogs for course offerings, as these vary over time), to use online training, or to contact us for a private workshop. We also provide one-on-one training online. 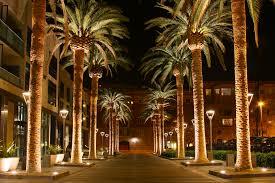 Here are some fun facts about San Jose, California. San Jose is thought to be California’s oldest settlement, founded in 1777 as a farming community. Rocking the crowd since 1981, “The Wave” was invented by former San Jose State cheerleader Crazy George Henderson. Winchester Mystery House of San Jose is thought to have 160 rooms, as continual building started after Mrs. Winchester was told by a psychic that she would die if construction on the build stopped. Most downtown buildings in San Jose can’t be taller than 300 feet due to its close proximity to the airport. This entry was posted in Directory and tagged CA, Directory, San Jose on February 16, 2015 by Gloria McNabb.